This post is sponsored by TD and the TD Common Ground Project. 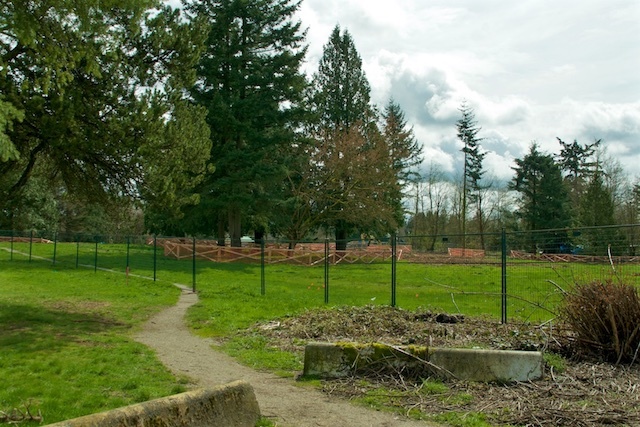 Back in May I visited an empty lot in Surrey, tucked between an elementary school and a residential neighbourhood, that was filled with potential. As of October 28th, thanks to the TD Common Ground Project, Forsyth Park opened to the public. 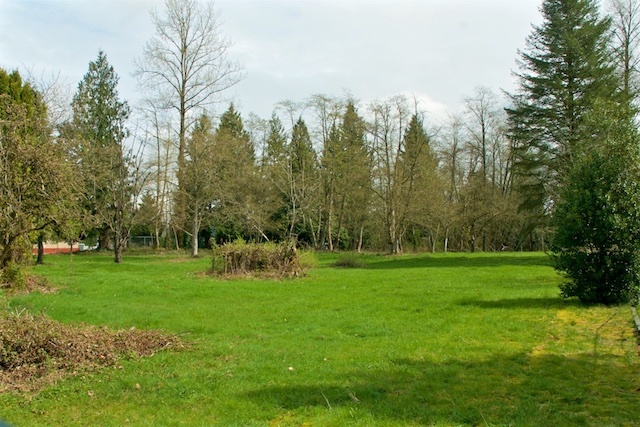 Forsyth Park featuring the TD Nature Play Area is located between 108 Ave and 104 Ave, 140th St and 139th St. 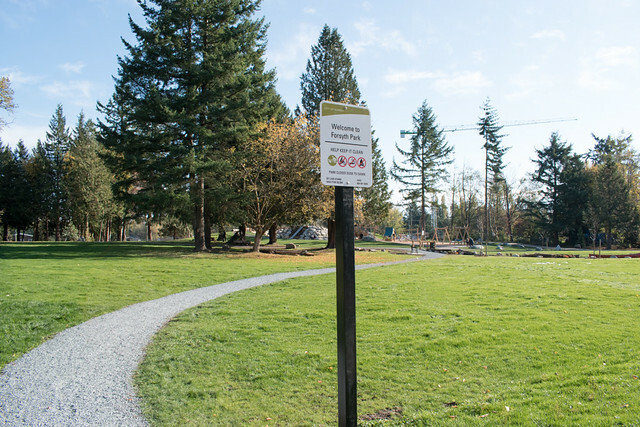 The 7.5 acre park features an adventurous playground, picnic areas and a series of walking pathways, and an off leash area for four-legged friends (both big and small). When I visited the park to take my “after” photos, I was excited to play! It’s got all the traditional playground elements combined with a creekbed – complete with canoe – a mountain of boulders to climb, swings, and more. It was only 2C out during my visit and there were families everywhere enjoying the new space. Forsyth Park Grand Opening, October 28, 2017. City of Surrey. 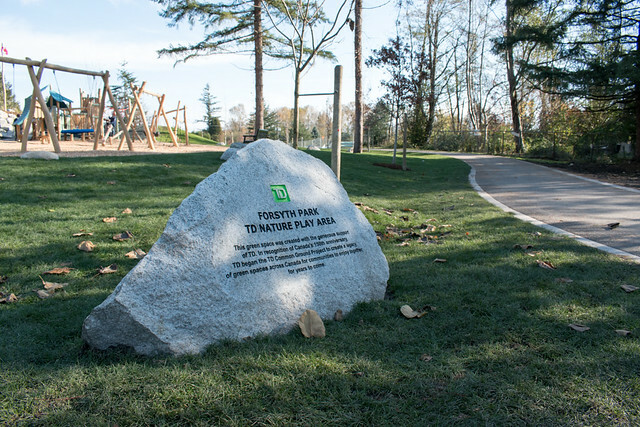 TD Bank Group provided a $500,000 grant to the City of Surrey to build the TD Nature Play Area in Forsyth Park as one of the seven major ‘TD Common Ground Projects’ across Canada. 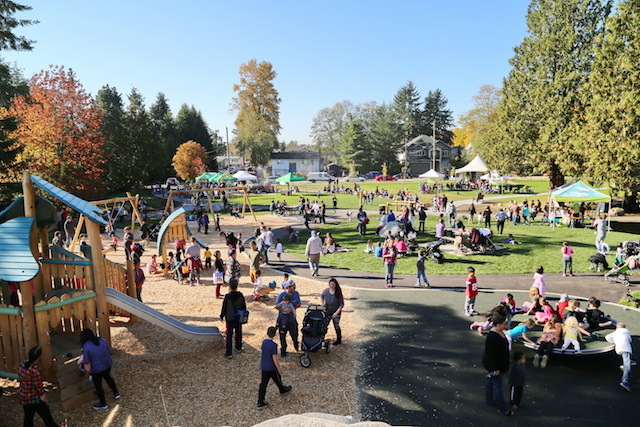 TD created the Common Ground Project in recognition of Canada 150 and has funded a legacy of more than 150 green spaces across Canada for communities to enjoy together for years to come. For more information, follow TD Canada on Facebook, Twitter, Instagram, YouTube, and the tag #TDCommonGround to join the conversation.